Travel France offers you everything you ever wanted to know about France... and much more. At Travel France we experience the journey with you and give you the traveler's perspective on everything France and everything French! You'll discover the wonders of Paris, the City of Lights, and why millions of people visit France's capital city every year. 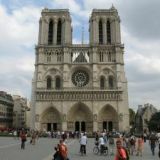 You'll learn about the history of France, from the early invasions of the Romans and Vikings, to the French Revolution in the 1800s, up until modern times. You'll get a genuine feel for the diversity of the French landscape, from the beaches of the French Riviera - Côte d'Azur, to the serene countryside of the Loire Valley, to the mountainous regions of the French Alps. France is home to myriads of monuments, museums, and a wide range of activities, events, and attractions. Here you will become familiar with France's major cities as well as its smaller villages and towns. For each destination, Travel France gives you the full scoop on where to go, what to see, what to do, and of course - what to eat! Learn where to find the best restaurants in France - from the most expensive dining rooms to the most affordable bistros and pubs. Your mouth will water as you read about the secrets of French cuisine, learn how to understand a French menu, and discover how to make some traditional French dishes and recipes. At Travel France you will enjoy a virtual visit to France's best-known wine regions, such as Bordeaux, Burgundy, Corsica, Côtes du Rhone, Loire Valley, Rhone Valley, and Provence. You will learn the difference between Chardonnay and Pinot Noir and find out what types of grapes go into the making of Cabernet Sauvignon, Sauvignon Blanc, and Merlot. You will also get to know France's after-dinner drinks such as Cognac, Armagnac, and Calvados, and learn where you can enjoy a glass of homemade brandy "on the house" at the end of a meal. Of course, you will want to know where to stay when you visit France. 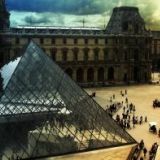 Travel France provides details about the most expensive and least expensive hotels in each region and introduces you to other accommodations France has to offer. There are lodgings to suit every budget and every visitor, and Travel France tells you where to look for the best deals and vacation packages. What else can you expect to learn about at our France Travel site? So come on board as we jet off to Paris, Nice, Cannes, Lyon, Marseille, Monaco, Normandy, Toulouse, and many other France destinations. Bonne Voyage and Bonne Journée! How many facts about the Eiffel Tower do you know? Grab a map of Paris France, and let your France vacation begin! Looking for a list of French names? If so, you're in luck! If Tour De France facts are what you're looking for, you've come to the right place! Looking for Cannes tourist information? Then you've come to the right place! When does the French Revolution timeline begin? What is the current time in France? Cruises to French Polynesia are the perfect vacation getaway! Any discussion about the flag of French Guiana can be confusing since the region is actually associated with three different flags!